If you are getting frustrated with the sound of your car engine and the road beneath your vehicle, it may be time to consider car noise reduction solutions. Road noise alone can make driving less than relaxing, while exhaust drone and engine noise add even more of a cacophony into everyday driving. Many drivers find themselves longing for a quiet luxury car that purrs like a kitten rather than growling like a beast. The good news is that there are a number of products especially designed to reduce the typical noise of driving. You won't need to fork out millions for a brand new German engineered vehicle either – using advanced technology that can easily be integrated within your vehicle, these products greatly reduce the volume of sound when driving. 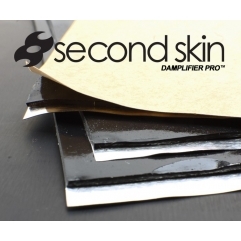 Damplifier Pro – this product comprises a powerful noise-busting feature called a Constraint Layer Vibration Damper – CLD. The CLD mat is placed on automotive sheet metal to reduce common noises from engine, exhaust and vibrations. As the leading noise reduction tool on the market, this product even has thermo insulation properties as an added benefit. Luxury Liner Pro – airborne noises such as traffic, road sounds and other distracting sounds can be easily reduced with this product. These mats block out noises that a damplifier mat is not able to reach. Used together with a vibration reducing product, quiet driving can be achieved to luxury car levels. Thermo insulation is also provided to keep out the heat as well as the noise. Thermal Block – this product is placed on engine side of the firewall, or under the car just above the exhaust. Used together with an anti-vibration mat, the results ensure a near silent driving experience. Heat from the engine can be kept out of the car with the help of Thermal Block, which also enhances your driving time on the road. 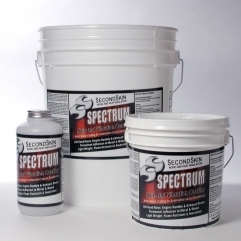 Spectrum – the final tool in your fight against vehicle noise is Spectrum or Spectrum Sludge. This product is applied to hard to reach places where a mat will not fit, such as the wheel wells or floor plan. Vibrations can be significantly reduced with the help of this product, especially if used alongside a dampening mat and airborne sound reduction product. 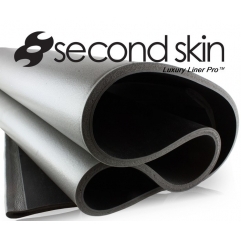 Second Skin provides a range of products that are designed to reduce the most common sounds experienced when driving. With affordable prices and a high level of product quality across our range, we aim to help you enjoy your time on the road with minimal interferences. Take the noise and vibrations out of your car for good with the help of our state-of-the-art sound deadening products. 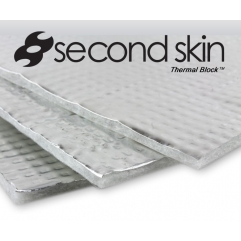 So you know you want some Second Skin products, and you understand there are various different aspects to sound deadening a car. But what does what and where do you start? This is the most common question we get via email and so we've taken all the guess work out and discuss in detail how to sound deaden a car.